I was at the ATM the other day, and an elderly lady approached, and asked me to help check her balance. So I pushed her. 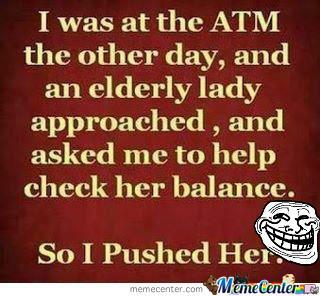 I was at the ATM the other day, and an elderly lady approached, and asked me to help check her balance.